When it comes to Australia’s favourite mobile handset the Apple iPhone remains firmly in hand. 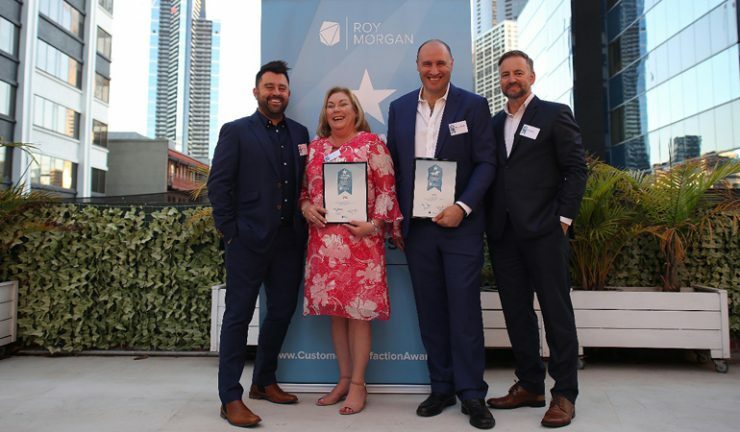 The iPhone continues to dominate the 2018 Roy Morgan Customer Satisfaction Awards with its eighth consecutive win. Optus took out the Home Phone Service Provider award while Virgin Mobile emerged the winner of the Mobile Phone Service Provider award. Competition in the latter was tough, with three providers, iiNet, Aldi Mobile and Virgin mobile each enjoying at least one month in top place. For the fourth straight year the Internet Service Provider award went to iiNet. The awards track customer satisfaction, engagement, loyalty, advocacy, NPS and Net Trust Score across a wide range of industries and brands. Optus and Virgin Mobile celebrating their awards for Home Phone Provider of the Year and Mobile Phone Service Provider of the Year.